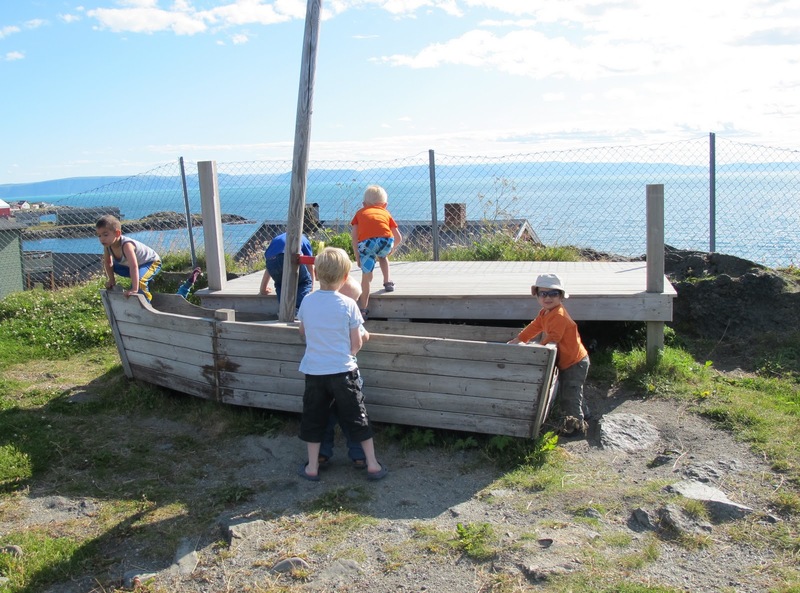 On our recent trip to Norway, B was invited to join in and play with a class of pre-schoolers. Norwegians have a distinctly different (and refreshingly healthy) approach to children's play from what I am accustomed to - a real eye-opener. The daycare was perched on top of a rocky outcrop. While Mark and I hovered cautiously around B, the other kids scrambled over rocks, threw themselves head first down the slide and did other things that made me cringe. But as the centre's caregiver explained, "we want the children to learn by doing, and falling down is part of that." That afternoon turned out to be one of the highlights of our Norway adventure. We were welcomed by the caregivers as if we were old friends and we learned to worry a bit less about falling down at park. And, while one of the other boys held B's hand and led him around the playground, I couldn't help but think about how unlikely this scenario would be in litigation-crazy and oft-reserved, Toronto.